It's hard to create particle effects in Ogre3D engine without seeing the final results in real-time. Going back and forth and re-launching the engine every time after making one or couple of corrections to the particle scripts is non-intuitive. 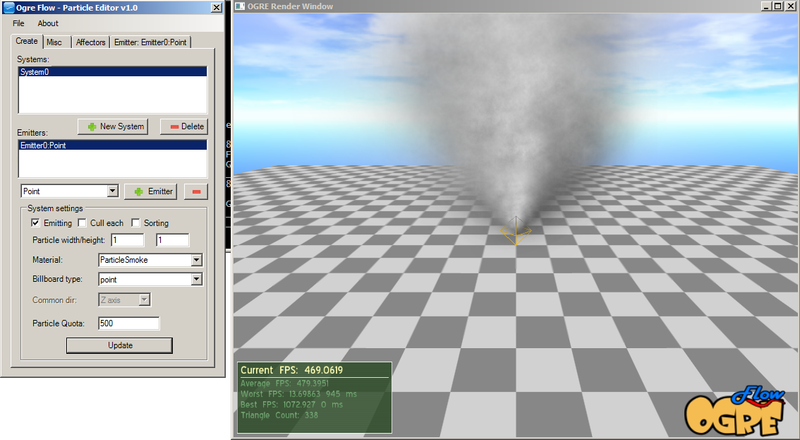 So I decided to write a simple Ogre particle configuration editor to remedy this problem. 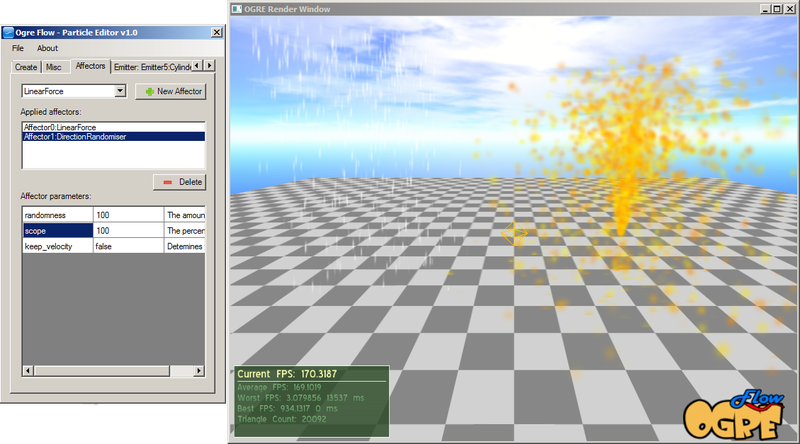 I present you - OgreFlow - an Ogre3D engine particle effects(FX) editor. It's basic and not as complete as the commercial ones, e.g. 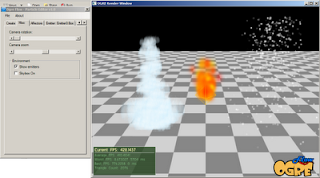 Particle Universe particle editor, but it's completely free to use with all Ogre 1.7 functions enabled! 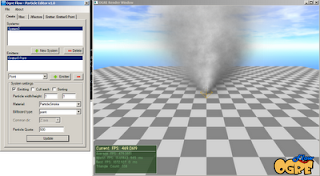 It should be enough to access all the standard Ogre particle effect parameters. Run the Flow.exe inside the 'bin/Release' directory. 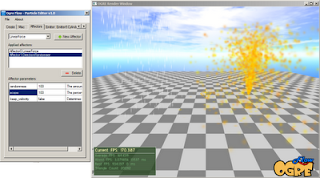 Some emitter markers are left after deleting/reseting the scene.